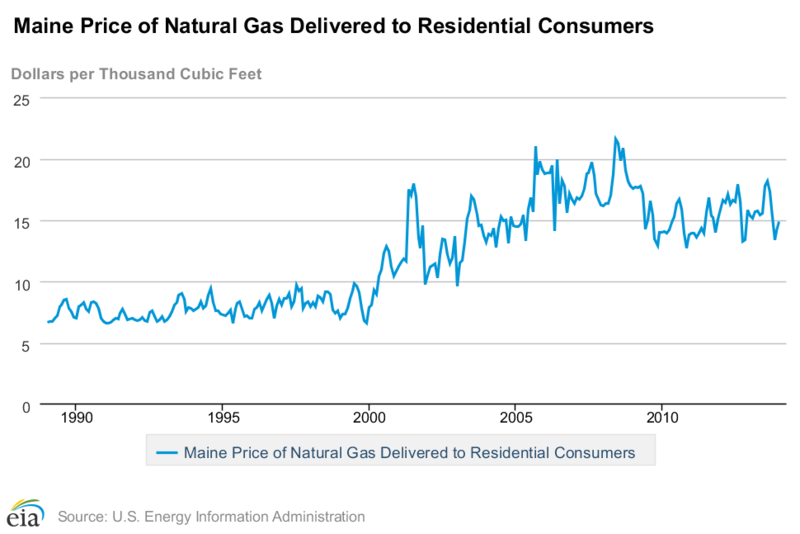 Out-of-state sellers of natural gas that are now operating in Maine have boasted a “locked” rate for customers over the next ten years. To anyone trying to plan for future heating costs, this might sound like a deal too good to pass up. But, according to the U.S. Energy Information Administration, prices for natural gas have more than tripled since 2000, and with prices continuing to rise, natural gas sellers have given themselves plenty of loopholes to adjust these “fixed” rates at their will. Here are some of the costs you could pay for even when you’re on a fixed rate plan. In their contracts, natural gas sellers can adjust their prices to make up for “mandated costs” that include acts of nature and changes in state or federal ROE (Return on Equity) sharing. Essentially this means that if unexpected costs come up, the gas company could pass those costs on to their customers. Like any other product, natural gas prices are subject to inflation. Unlike all other non-monopolistic companies operating in the free market, natural gas sellers can increase their fixed rate prices at the rate of inflation, which means you’ll be subject to a rate increase every year of your contract. “Commodity prices” refer to the price you pay for natural gas, not including the distribution and monthly fee charges gas companies charge you. By allowing themselves to exercise a “cost of gas adjustment rate,” gas companies can change their residential rates when the cost of natural gas rises. In other words, if your gas company has to pay more for natural gas, then so do you, regardless of what your fixed rate is. Want to learn more? Contact one of our energy experts today.